Following on from the album released in 2001 and honoured by numerous distinctions (‘Or’ of Diapason, ‘Choc’ of Classica), Bruno Cocset and Les Basses Réunies devote a new recording to Jean Barrière, allowing us to discover six other sonatas - some of which are taken from his Fifth Book - played on the pardessus by the Italian gambist Guido Balestracci. The two harpsichord pieces from the Sixth Book are interpreted by Bertrand Cuiller. 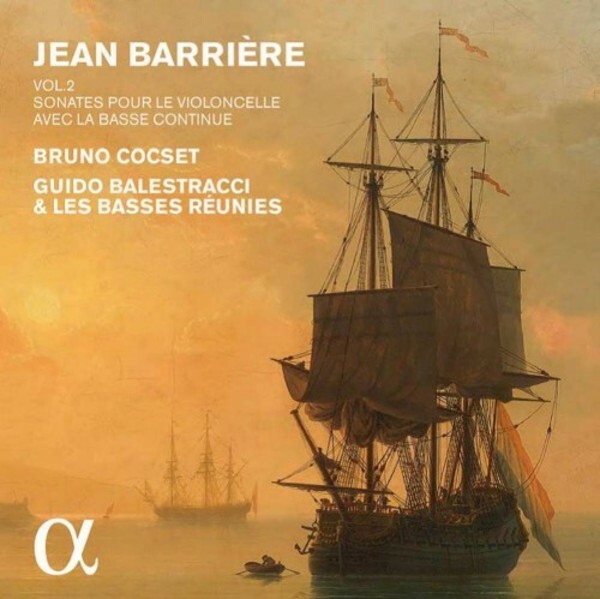 Bruno Cocset and Les Basses Réunies have contributed considerably to the rediscovery of Jean Barrière, who has become essential in the repertoire of cellists and Baroque instrumental music.